In a mixing bowl add cake mix, eggs and vegetable oil and combine them using an electric mixer or a hand mixer. In another bowl mix all the rest of the ingredients except the almonds using a couple of forks. Finally add the slivered almonds and fold in. This is the topping. 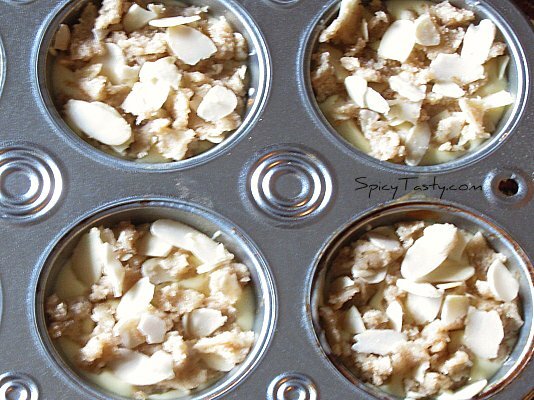 Partially fill in each muffin hole with the cake batter. Now sprinkle a couple of teaspoon of the topping over the cake batter as shown in picture. Now bake for 20 minutes or till it rise up full and cooked. 🙂 Serve hot or warm. Havent tried baking crunchy muffins. will give this recipe a try..Looks delish! These muffins look delightful! 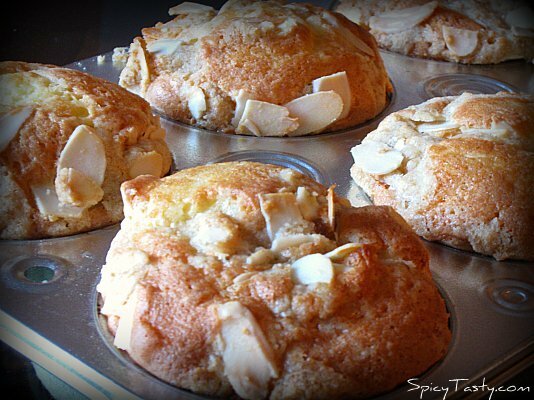 I love the taste of almonds in baked goodies! Starts with cake mix and that makes it easy 🙂 Sounds yummy! Hi friends, thanks for all your comments. WOW….you have made some perfect muffins! A couple of them with a pot of hot tea would really do me good. mmmm, they look perfect!! that’s my kinda treat, I love them!! Oh these muffins look so delicious! I love almond flavored anything. Yum! they look soft and ofcourse yummy..
love muffins of any kind…this looks so rich n delicious…nice pics too.. These muffins look perfect and very delectable.Thanks for dropping by simplyfood.Your visit and comments are very much appreciated.Was looking for a follow this blog widget but could not find one. Those muffins look great- what a delicious texture! These look so beautiful and sound delicious. I like that they are easy to prepare. Thanks. First time here..lovely recipes and mufins looks perfect and delicious! 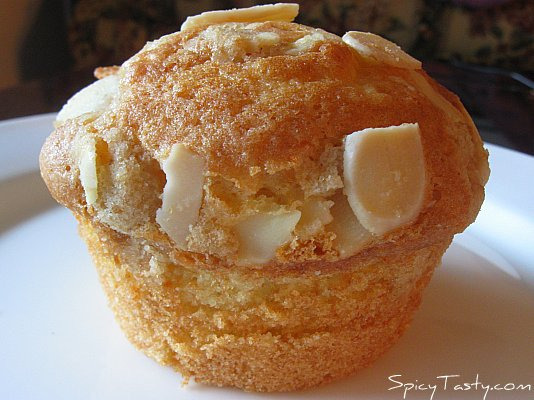 Do visit me if you can..
Nithu..luv these crunchy almond muffins..look perfect.